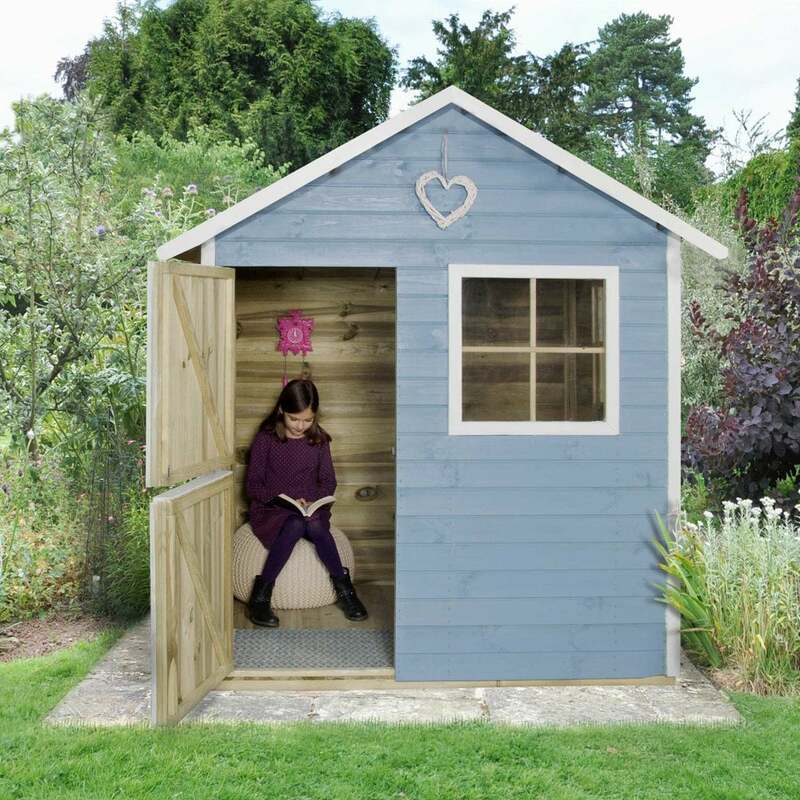 Forest Garden Thyme Kid’s Kabin Playhouse: This outdoor children’s retreat is taller than the average style of playhouse to allow children of a variety of different ages a place to play or hide out in the garden. The wooden playhouse features 3 styrene glazed windows to let in plenty of light and the door is a split stable style so that the bottom half can be left closed for privacy but the top can be opened for ventilation. This playhouse is built from quality 12 mm thick tongue and groove timbers and has a solid boarded floor and roof for a superb finish. The playhouse is supplied in a natural finish and has been pressure treated to prevent rot and to ensure that it will not need yearly treatments applying, however the wood is suitable to be painted as per the image if you want to customise it for your little ones to enjoy.